If you a WordPress Beginner or you get a problem with Cherry theme installation. We are ready to help you install the theme for free. 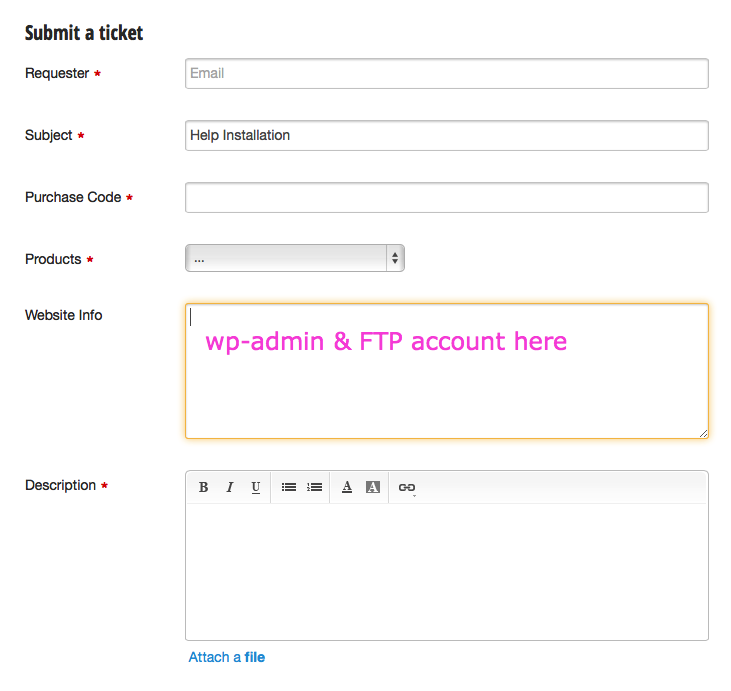 After purchasing, please create a ticket in our support system with Subject "Help Installation"
and paste your wp-admin account and FTP account in Website Info box. Then click to 'Submit' button, we will setup and install for you within 12 hours.